Is House Speaker Nancy Pelosi (D-CA) finally going to rein in Rep. Ilhan Omar (D-MN)? Was the freshman congresswoman’s trivialization of 9/11 the final straw? Maybe. Pelosi pledged on Friday to talk with Omar about her latest incendiary remarks. For the first time, Pelosi addressed the latest Omar controversy yesterday when questioned by reporters at the end of the Democratic Caucus meeting. She stated that she has been unable to get in touch with Omar, but not for lack of effort. This past week has seen another Omar-caused backlash. This one stems from a video that recently surfaced of the freshman congresswoman appearing to downplay the September 11 terrorist attacks while speaking at a Council on American-Islamic Relations (CAIR) fundraiser last month. “Some people did something,” were the words she chose to describe the tragic event that cost nearly 3,000 innocent Americans their lives. If that wasn’t bad enough, things got worse for Omar when she attempted to defend herself on Twitter, suggesting that, although President George W. Bush made a similar statement when he referred to the World Trade Towers as “buildings,” he was not condemned because he was not Muslim. “Was Bush downplaying the terrorist attack?” she tweeted. “What if he was a Muslim?” Of course, Bush was issuing a threat against the terrorists responsible for 9/11 — not downplaying the attack. Omar has been joined in this defense by colleagues Reps. Alexandria Ocasio-Cortez (D-NY) and Rashida Tlaib (D-MI). But all they have managed to do is add more fuel to the fire. 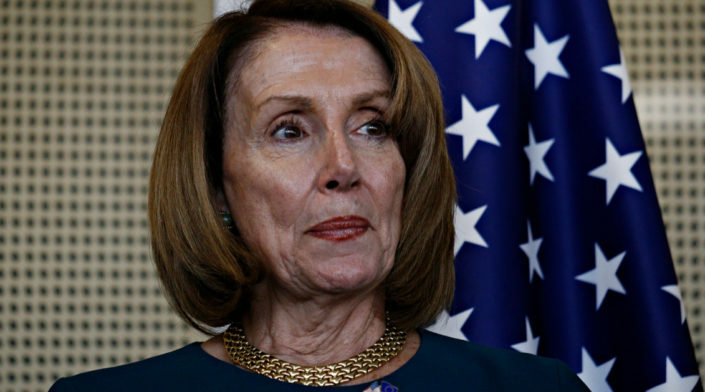 With the situation spiraling out of control, Pelosi, as a party leader, seems to have decided that it is time to step in. But her handling of past controversies leaves much doubt about her ability to calm things down. Last time around, it was Omar’s repeated anti-Semitic comments which drew so much criticism that House Democrats decided a resolution was necessary to formally condemn her. But, we all know how that turned out — after another defense from Ocasio-Cortez and company, the resolution was watered-down to an all-encompassing anti-hate document. How Pelosi handles this situation will be a good indicator of who is really leading the Democratic party.